When I am very clever. Then filled me up with tea. Beside the sugar bowl and jugs. 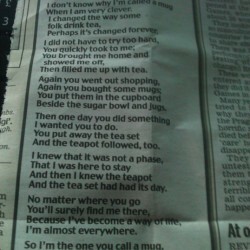 And the teapot followed, too. And the tea set had had its day. But, really, can’t you see? 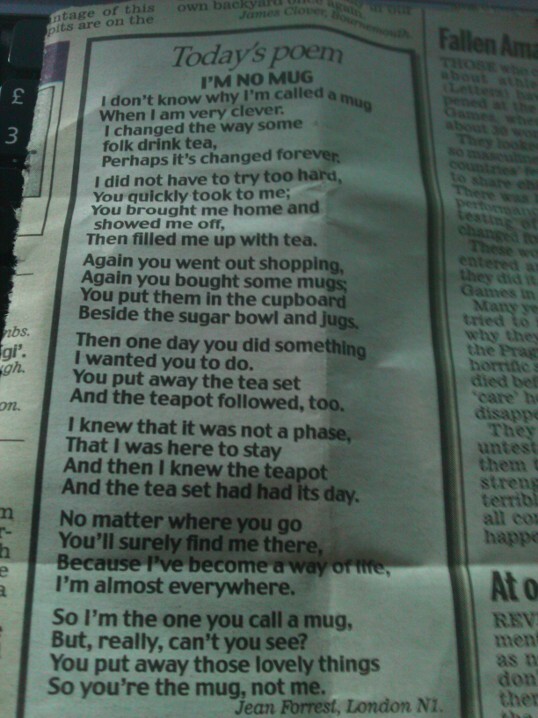 So you’re the mug, not me.